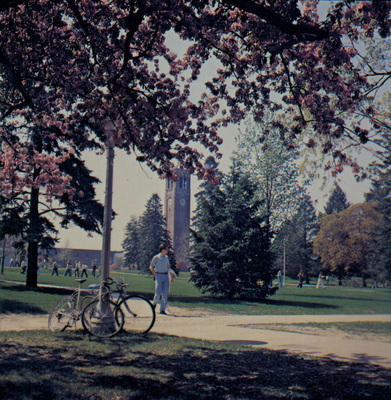 Color photograph of the Campanile in the background on a sunny day, perhaps in the seventies. "Parked bikes" (1970). 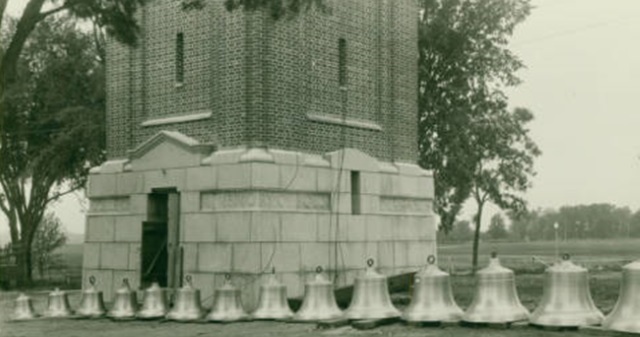 UNI Campanile Images. 25.